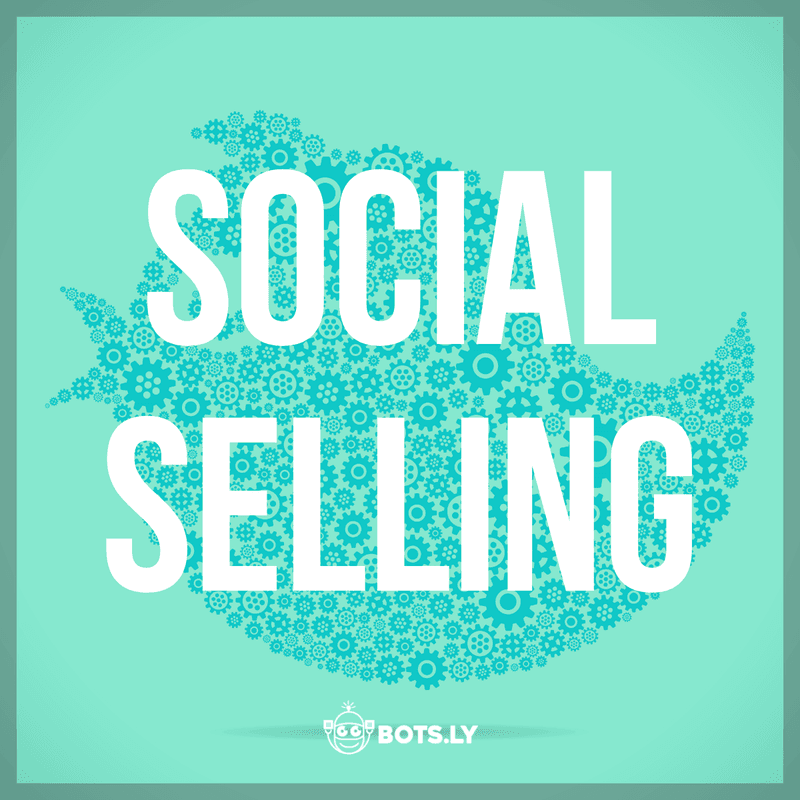 Social selling involves interacting with your potential clients with the goal of selling your products to the at some point. Sales has dramatically changed since people started researching products and services online before making a purchase. With the tremendous growth of phones pre-purchase research is here to stay. people take up to ten minutes even in the shop before making that purchase to check out other offers or make sure the purchase is the right one for them. How to start social sales? Send potential customers information to help them in the buying process. Helping your customer go from Awareness-> Interest -> Desire-> Action is crucial and providing excellent support can help you become the provider of choice when it is time for your customer to purchase. Monitor customers that are talking about a problem that you can fix. Comment, retweet their post or DM them offering features and benefits that your service can provide. Search for customers asking for advise related to your service or product offering. Offering customized advise to your potential clients will show them your support. If you are able to provide an exclusive offer this will also raise your chances of earning their business. Find people that are complaining about your competitors. Find posts complaining about your competitors using keywords and offer them benefits and features that you can offer. Identify people asking for advise related to your brand or industry. Be the first to help someone and offer a great experience and you avoid your competitors beating you to it and potentially offering a poor review of your brand or service. The above combination would be perfect for a shoe repair man or someone in shoe business. Jot Down your info below and I'll send you a discount code just for reading this post. We like to use targeted mentions that make the most sense for social selling a particular service offering or sales funnel. For example; if I were trying to find unhappy customers using competitor products you could search for the product and also include additional keywords like terrible, or awful or struggling. This can be accomplished using regular search but can also be achieved with an advanced search technique used for social selling. SOCIAL SELLING 4 SOCIAL SELLING 5 ( near/3:competitor_name,alternative ) OR ( near/3:competitor_name,alternatives ) OR ( onear/2:struggling,with,competitor_name ) OR ( near/3:hate,competitor_name ) OR ( near/8:terrible,competitor_name ) OR ( near/8:awful,competitor_name ) OR ( near/2:problem,with,competitor_name ) Change or upgrade this search thing to add problems specific to your product/service (e.g., near/3:competitor_name,broken). While you may not want to use linked-In as your social selling tool it is wise to understand and use the 4 Pillars to your advantage.